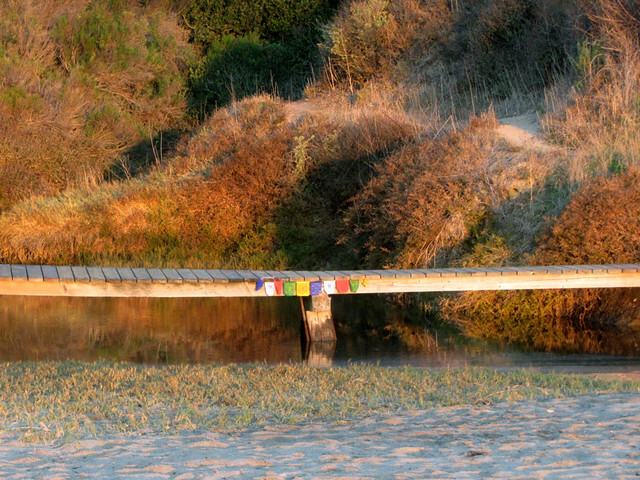 Someone added a string Tibetan prayer flags to the bridge at the Cove where the creek meets the sand. It's the coldest spot on the beach, particularly on winter mornings when the creek bed funnels frigid air down from the mountain. Once I'd covered world peace, abolishing poverty and the NSA, I'd reserve a prayer for remembering to wear gloves.